The collapse of the building in Bangladesh, the Rana Plaza, is considered the deadliest accident in the history of the garment industry, having claimed at least 377 lives. Even as new numbers show the overall employment picture improving—or at least not getting worse—new college graduates may not be so lucky when it comes to finding work. In an online debate, Elliot Entis, whose company has created a genetically modified salmon that may soon be for sale in the U.S., discusses the environmental and health impacts of this controversial technology with author Paul Greenberg, a critic of GM fish. Bee-harming pesticides banned in Europe. 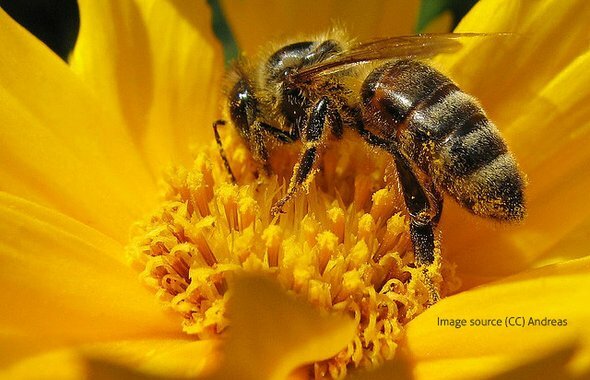 Europe will enforce the world's first continent-wide ban on widely used neonicotinoid pesticides linked to serious harm in bees, after a European commission vote on Monday. With record levels of air pollution, China has pledged major investment in electricity-powered vehicles. Robots will do everything that you do, but only better.... but what then? Except launches a new service! Urban Renaissance is a comprehensive system to redevelop neighborhoods, cities, and regions, into strong, self-sufficient, flourishing, and beautiful areas. Want to find out how to make your neighborhood or institution self-sustaining? Contact arjan.luiten@except.nl to find out how.